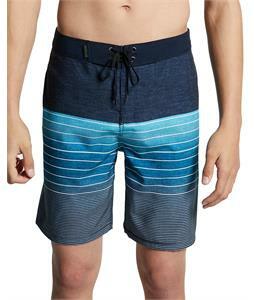 Boardshorts for men will help you hit the water in style this year. Get into the lake, the pool, wherever water is, in the perfect men's boardshorts for you. Choose from many different brands like Volcom, Vans, Salty Crew, Reef, RVCA, Quiksilver, Patagonia, Hurley, Oakley, Dakine, Burton, DC, Billabong Analog and many more. Styles vary from new modern shorts to your traditional longer boardshorts. A range in patterns from tropical leaves to setting suns and many different colorways, there is a pair of boardshorts for every mood you have this summer. The-House offers boardshorts that are great for everything from controlling the grill to pumping your legs while on your wakeskate. Forget about anything other for your lower half this season, pair our boardshorts with your favorite t-shirt for the perfect relaxed summer look. Grab yourself a few different pairs and styles of men's boardshorts we have available and get your summer on.